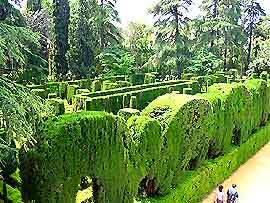 Seville, Spain can really boast about its wide variety of parks, ranging from the largest to the smallest, both private and public. 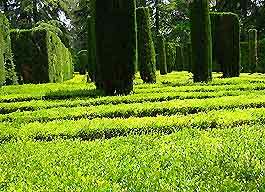 The parks and gardens in Seville include many that were the former private gardens and parklands of the city's nobility. Whether it is just a small square with surrounding trees or a larger open space, they are all peaceful places to relax. 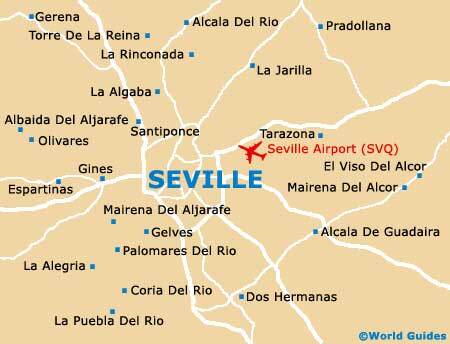 This vast parkland in the centre of Seville is well planted and features an enormous amount of attractions. Named after Princess María Luisa, who donated part of the grounds from her Palacio de San Telmo to Seville in 1893, the park has been well designed and is heavily planted with trees, shrubs are flowers from around the world. The park's most impressive features are the Plaza de Espana and the Plaza de America, which set the park's very theatrical mood. The Plaza de Espana is a large, semicircular plaza that formed the centrepiece at the 1929 Seville Exposition. Other impressive highlights include the Glorieta de la Infanta, a bronze statue honouring the Princess, the Isleta de los Patos - in the centre of the parks' lake, this island has an attractive gazebo and is the perfect spot for resting, the Monte Gurugu - a waterfall and fountain, the Museo Arqueologico (Archeological Museum) - a Neo-Renaissance building that houses many regional, archaeological finds, and the Museo de Artes y Costumbres Populares - in the Plaza de America, these grand pavilions house a museum of Andalusian folk arts. The park has many areas to sit and also several fountains, richly decorated in brightly painted ceramics from Triana. Guided tours are available at the weekend, along with horse and carriage rides through Seville's park. The National Park of Coto Donana is situated close to Seville and is considered to be one of Europe's finest wetland areas. Rich in wildlife, the parks are enormous and cover an area in excess of 75,000 hectares / 185,00 acres. In 1969, the parks became officially protected and there is now a wealth of local species and thousands of migrating birds stop at the park in the winter, when the marshes become flooded. Wildlife at the National Park of Coto Donana includes deer, wild cattle, the rare Imperial eagle, the greater flamingo and around 60 pairs of lynx, one of Europe's rarest mammals. There are official guides tours of the park and the number of visitors are restricted, so be sure to book this in advance.